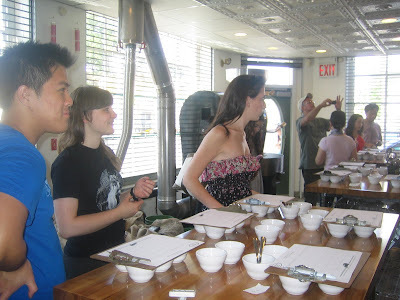 On Tuesday, June 15, 2010, I accompanied students on a student club outing to Dallis Coffee Roasters in Ozone Park, Queens. It was an adventure well worth the trek from Manhattan! The story of Dallis Coffee Roasters starts nearly a century ago, with Abe and Morris Dallis, who used horse-drawn carts to distribute their goods and coffee—often setting out on delivery expeditions that lasted up to a week. Although Dallis Brother's coffee started in 1913 and has supplied some of the city’s top restaurants and delis ever since, it is often an unknown name to the average person on the street. 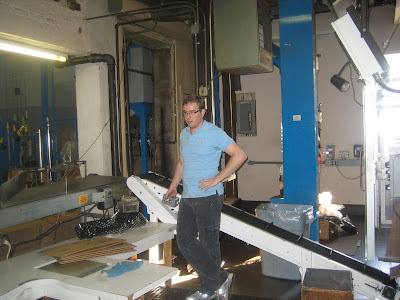 John Moore, Dallis's coffee expert and one of the few people in the United States with "Q" grader certification, explained this is because previously coffee roaster/suppliers were the 'behind the scenes guys' and, in fact, the name of a good coffee supplier was often something that restaurants kept secret—well-guarded from the competition. 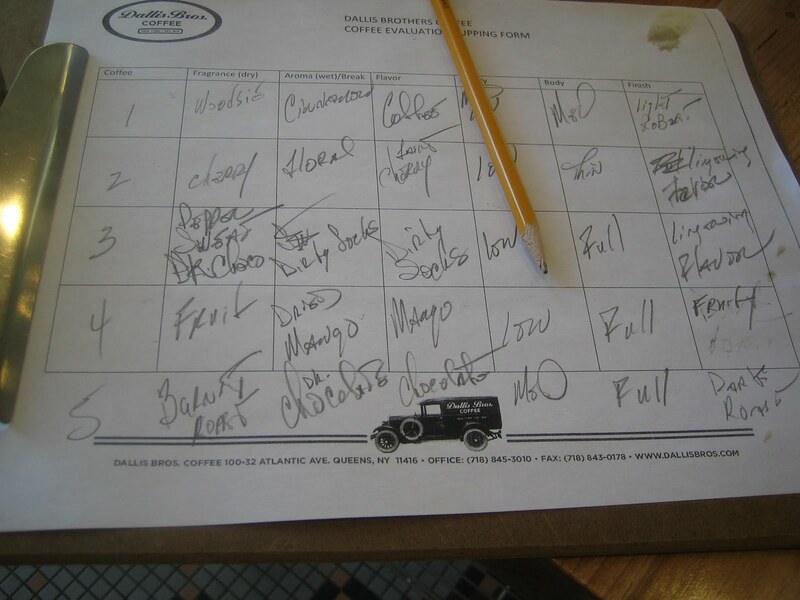 Today, things have taken a turn and one often sees coffee roster/supplier's names highlighted on restaurant menus. Dallis Coffee, one of the oldest and most respected coffee roaster/supplier in the United States, is adapting to this changing environment. 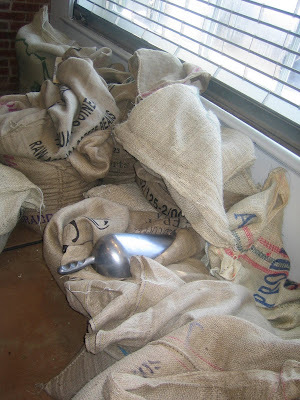 In 2007 Dallis Brother's Coffee what purchased by Octavio, a Brazilian company with a long coffee history similar to Dallis Brothers. The combination of the two veteran companies is sure to result in an exciting melding of pasts and an exciting future for Dallis Coffee. 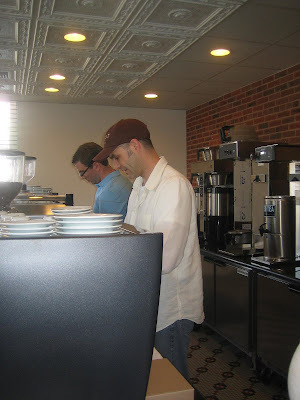 John Moore at the Dallis coffee making bar. Moore was a wealth of information and enthusiasm, and he told us the story of the perilous journey that coffee takes from plant to cup. The journey has so many factors that can affect the quality of what ends up in our cup. It is really quite incredible! Dallis Coffee goes to great lengths (some of them very scientific in nature) to ensure that their customers get a consistently great product. We were lucky to be walked through a traditional coffee tasting, or cupping, as it is called in the industry. 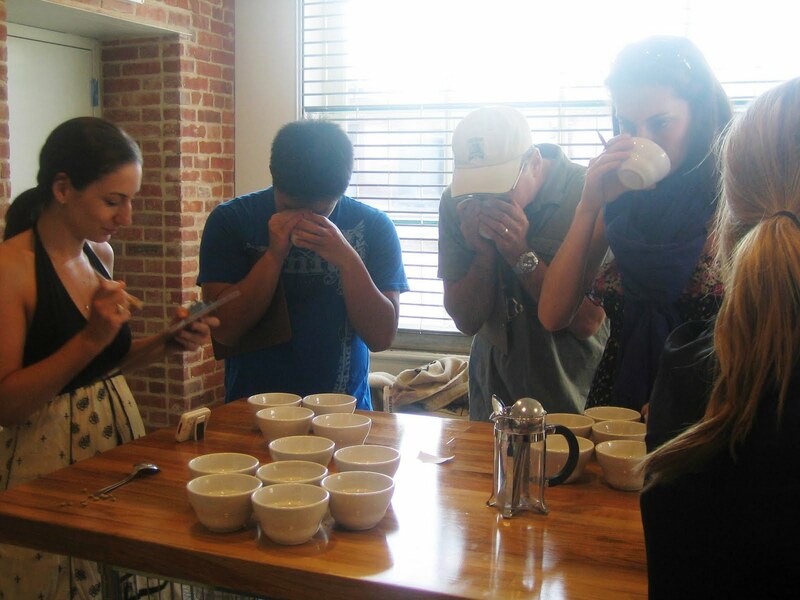 We had the chance to taste coffee the way the experts do. 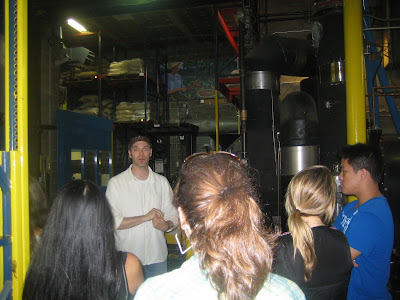 We intently smelled five types of ground coffee. Hot water was poured into the cups with ground coffee. The smell of the coffee is very different at this point, and we took it all in. "The breaking." We took a spoon to break the creamy layer that rose to the top of the cups when the water was added. The break allows one to smell different things yet again. Similar to a wine tasting, we all shared the taste sensations and aromas that we experienced with the different coffees with one another(fragrance, aroma, flavor, body, finish). Descriptors such as 'citrusy, soapy, floral, chocolaty, my grandma's kitchen,' were used. You realize that the coffee has a story to tell when you taste it! You take a trip just with the taste. Each coffee has unique characteristics because of how and where it is grown and how it is handled and processed. 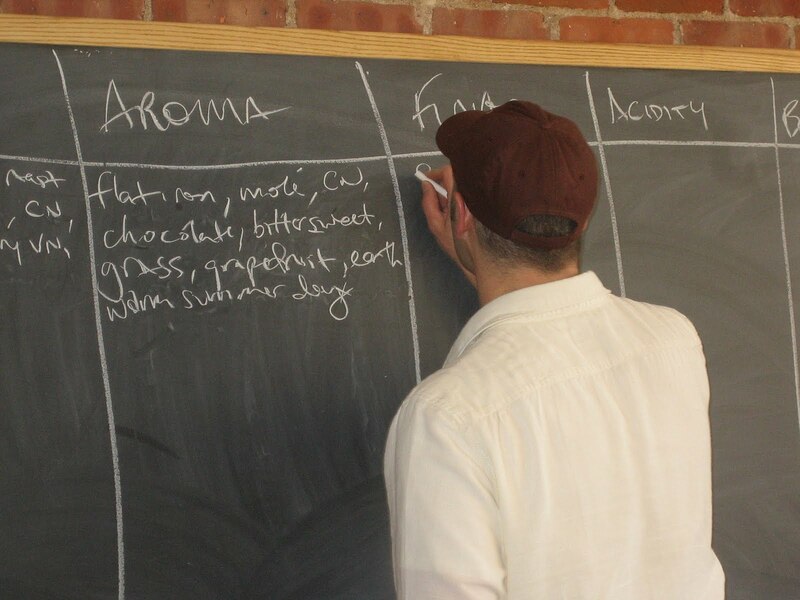 The taste depends on where it comes from (terroir), the type, color, and quality of the beans, the way the beans are dried and roasted, and so forth. So be careful when you buy coffee! The quality of what you start with and the type of journey that the bean takes has a tremendous effect on the taste of what you drink. Some supermarket coffee companies sell their coffee in cans and purchase solely based on low price (they don't even look at the beans). When you look at the beans they use (many sizes, many defects and foreign particle), it is shocking. Once you understand this, it is easy to understand why the price difference between a low-quality and high-quality product is quite significant. They are very different products. What I learned is that coffee, like wine, requires care. So every time you taste a coffee, appreciate it! Manon Barbarous is currently interning at the International Culinary Center. She attends the Université du Sud Toulon-Var, located in La Garde, France, where she is studying foreign languages and business.